Last Summer, instead of giving in to my wants and buying the Clean Reserve fragrance in Rain, I was good, and finished off another perfume bottle. The wood-patterned white sleeve, and the contrast of the deep teal and gray lettering, is a cute touch and compliments the bottle nicely. 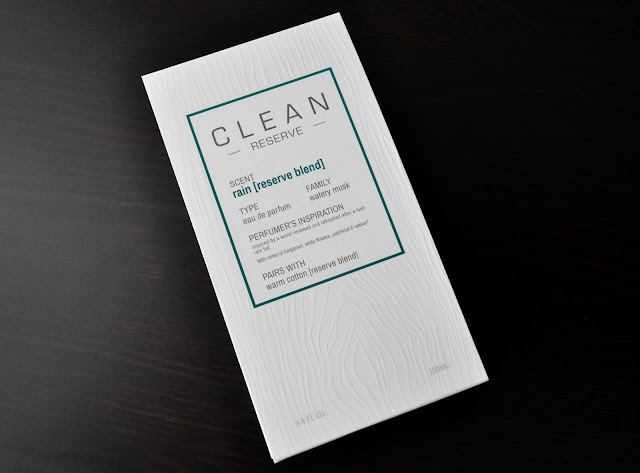 Although fairly large, the crisp white box is minimalistic and, pardon the pun, clean. I love the simplistically casual, yet sophisticated, look of the thick, weighty glass bottle and its smoothed out edges, the wooden cap, the quality and feel of the paper label, the font, and its coloring. 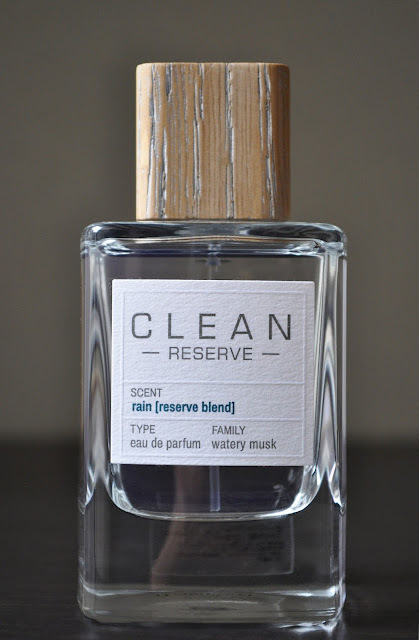 Reserve Blend Rain's Top Notes: Bergamot and cucumber, Middle Note: White Flowers, Dry Notes: Patchouli and Vetiver. I pickup on all the scent profiles. However, I was surprised to learn Patchouli was one of the dry notes because I don't smell it at all (thankfully). 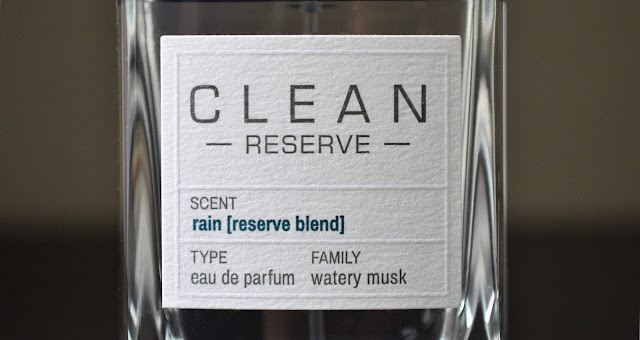 Rain is such a fitting name for this wonderful fragrance. 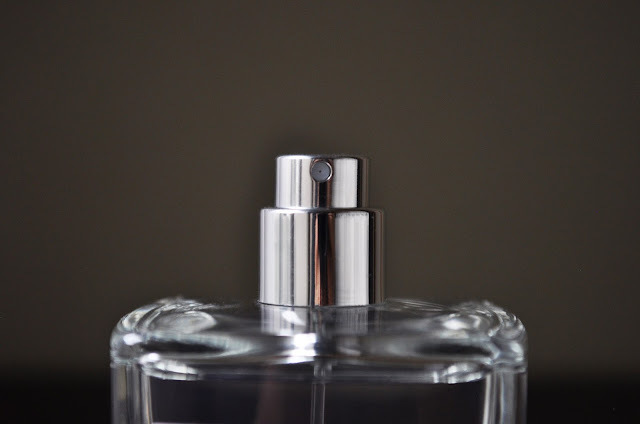 It is a luscious blend of floral, citrus (the bergamot and cucumber), rain, green, and musk that's a clean, fresh scent with a masculine twist; hence, making it suitable for both, men and women. On my skin, Clean Reserve Rain Eau De Parfum lasts the entire day until the late hours of the evening. I've been wearing Rain for less than two weeks, and a day hasn't gone by where I wasn't complimented on how good I smell. 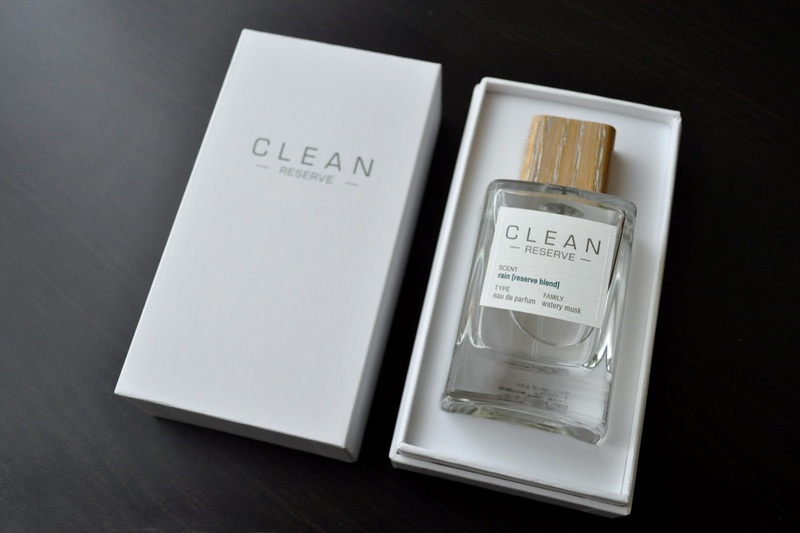 Clean Reserve Rain Eau De Parfum retails for 14,580 yen (3.4 fl. oz./ 100ml). What fragrance are you using this Summer? You reminded me, I have a small bag full of samples I need to work on as well...the journey never ends!